Calling all Philadelphia area readers! If you love lemonade, Lego bricks, or kids, head on down to the National Constitution Center and take part in the construction of a lemonade stand built completely out of Lego. This weekend just happens to be National Lemonade Days weekend, and the inspiring folks at Alex’s Lemonade are encouraging kids to get out there and build their own stands (most generally out of something other than a kazillion Lego bricks). 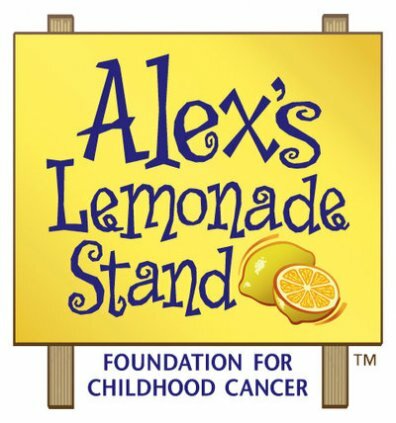 The Alex’s Lemonade Stand Foundation was started by, and named after, a brave little girl who spent many of her eight years on the planet fighting that awful demon called cancer. When she was feeling well she’d hold lemonade stands, to help other kids who were fighting the same disease. 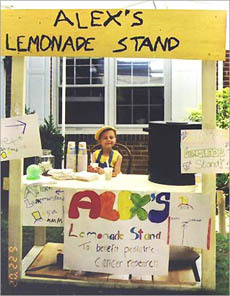 Alex’s body finally wore out in 2004 but her family keeps her memory and her tradition alive, by encouraging kids around the world to host their own lemonade stands, then contributing the money to pediatric cancer research. Since Lego bricks are all about kids, the Lego Company is raising awareness of this special organization by using what they have, lots and lots of bricks, to build their own stand. And if you’re not in the Philadelphia area, crack out the card tables and paper cups and set up your own stand for the weekend. It’s a fun rite of passage and a great way to help others.